It’s football season, DC, which means you could do you Sunday RedZone binge alone, at home, with some excellent pizza delivered to your lap. 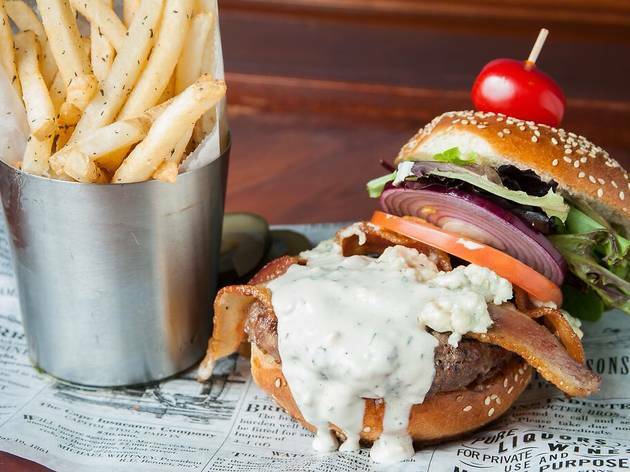 But why ignore the fantastic bars DC has that aim to make your game-day that little bit more excellent. 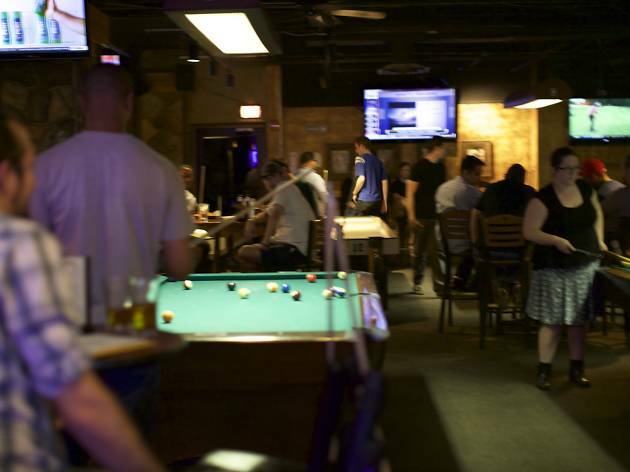 They’re the dive bars drawing fans of all stripes with great atmospheres and killer bar snacks and they’re the halls of mega-screens making sure you never miss a moment of the action. And they’re waiting for you. So, helmets on, and get playing. 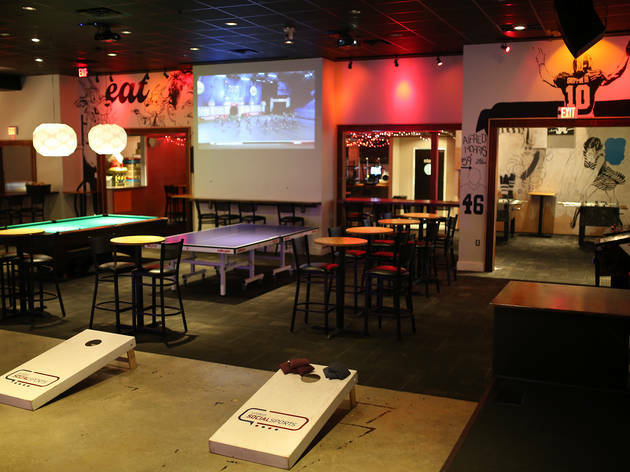 This cavernous adult playground has room for large groups (including college teams’ fan clubs), alcoves and private rooms for smaller parties, and a bevy of TVs tuned to every game. The staff here are battle-tested and capable of slinging your food and beers (of which there’s a surprisingly decent rotating selection). 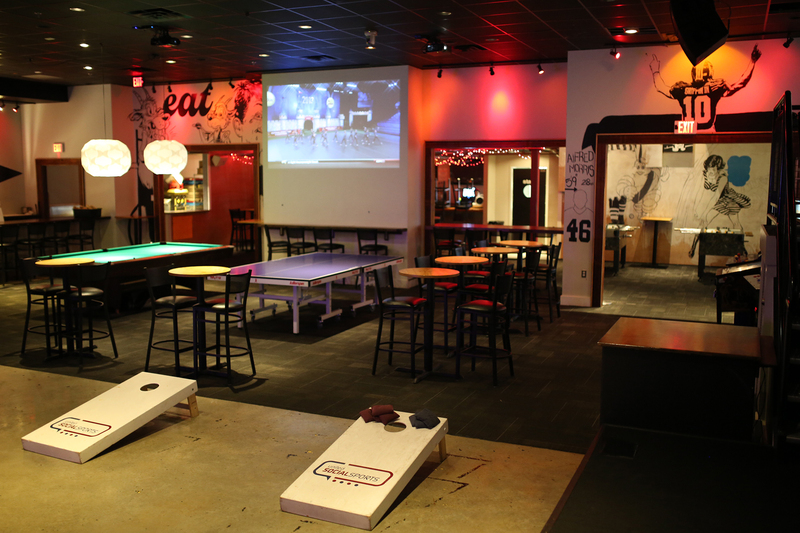 For those who want to play rather than watch, there’s shuffleboard, pool, darts and video games. 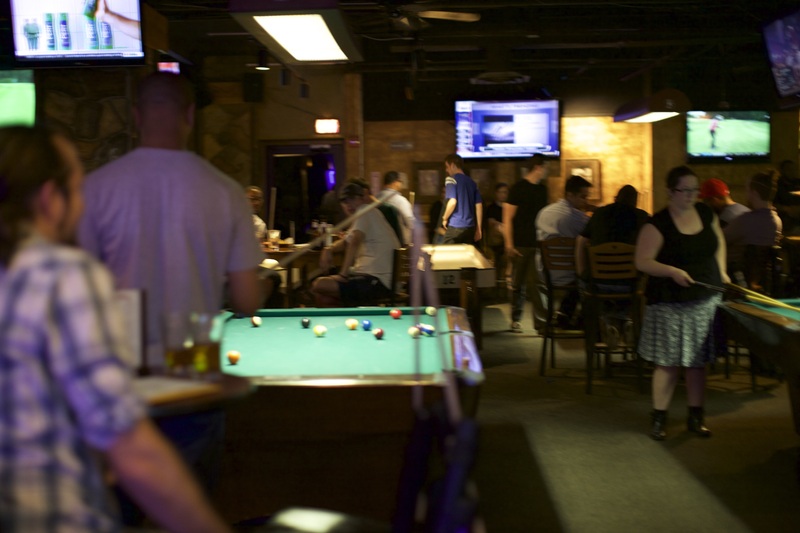 Game-day is about being around other people, and during a big contest there’s a hum (and sometimes a roar) of excitement at Buffalo Billiards that can’t be beat. 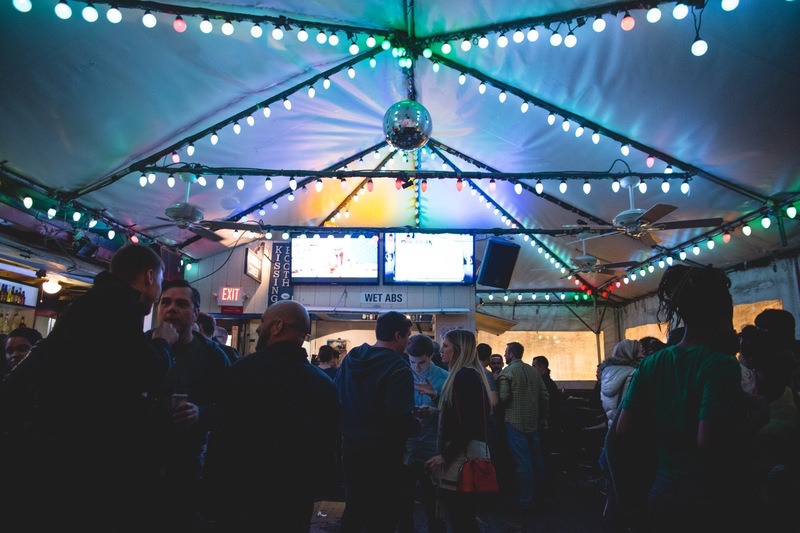 This U Street mainstay hosts events every night of the week. Karaoke? Check. Poker? Yerp. Trivia? Oh yeah. A legendary drag brunch on Sundays? The only one you’ll find on this list. 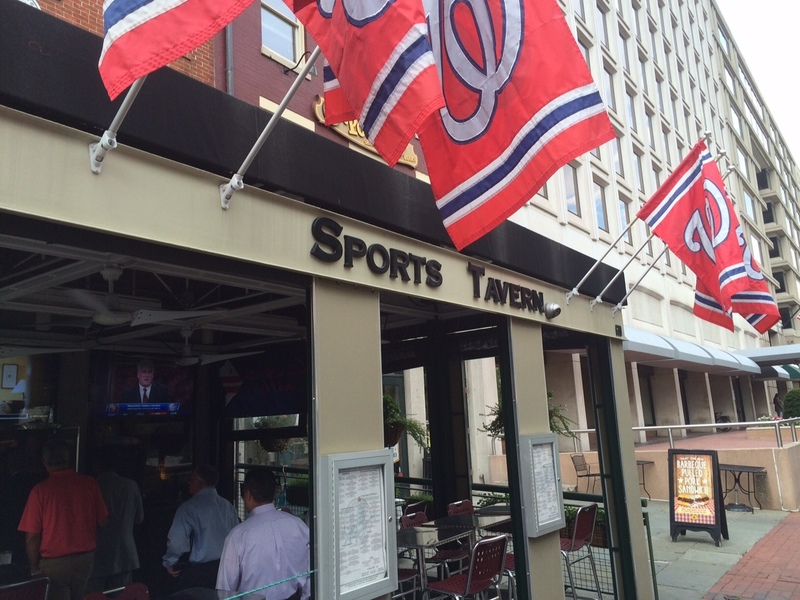 On game day, you’ll find one of the District’s top destinations to cheer on your favorite team. Comfort food (meatloaf sandwich and queso fundido, delicious wings) soaks up reasonably priced drinks. 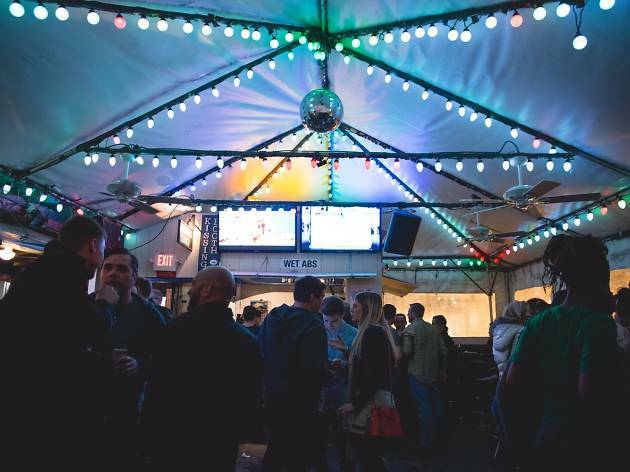 Real fans will make sure the whole block hears their cheers from the second-story patio, but there are plenty of screens all around the bar, so no matter where you are, you’ll be within sight of the game. UNC Chapel Hill, Michigan Syracuse and Stanford all call this longtime Adams Morgan sports bar home, and Orioles fans can find company here as well. Ventnor is an excellent example of a spruced-up bar food and beer selection: You’ll find your standbys here, but also craft offerings from breweries as far afield as Maryland’s Eastern Shore and Colorado. 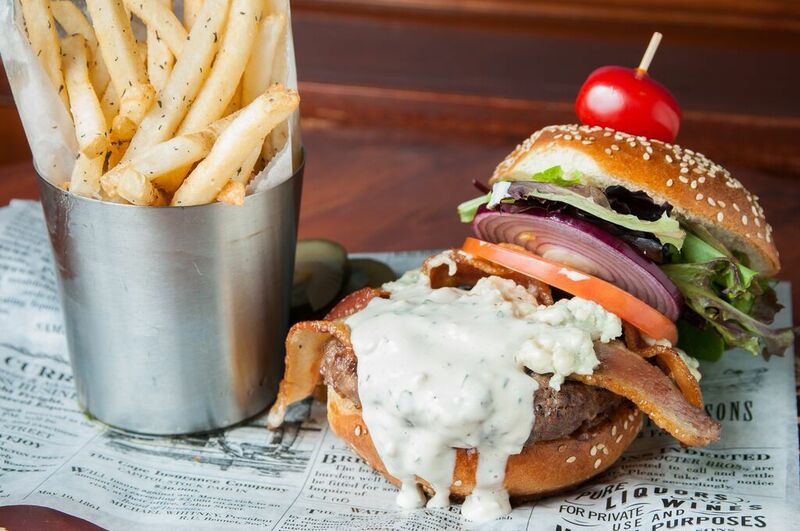 Be sure to try “The Ventnor,” a riff on the cheese steak that slides in salami, and cap it all off with fried Oreos. Just try not to get powdered sugar on everything pumping your fist in the air. First things first: bring friends. You’ll need them when you realize how great a deal 10 pounds of buffalo wings is for $50. 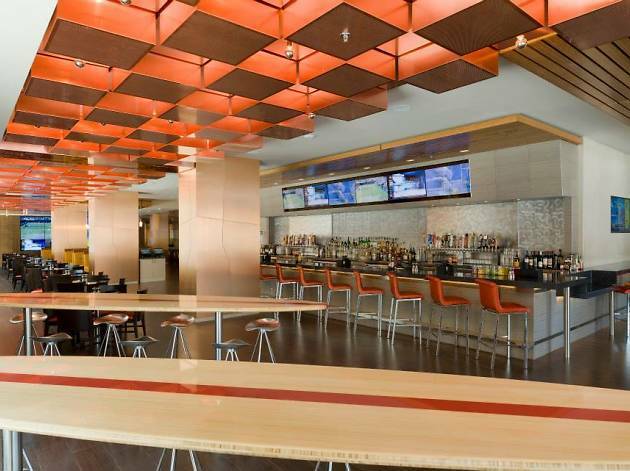 There are a lot of different areas at Penn Social: lounge area and cozy bar on the first floor, and then an enormous viewing area (with larger bar and enhanced beer options) downstairs. 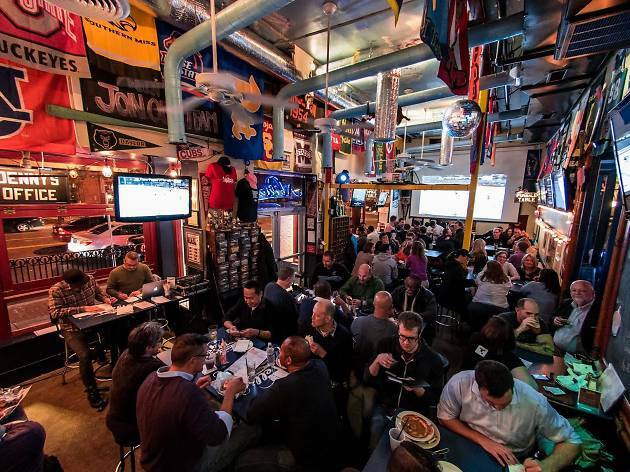 Sure, you’ve got your standard 40-inch TVs here, but the huge projector screens make it easy to follow the action no matter where you are, even if that’s by some of the arcade games that sports and suds—especially if your team’s having a rough day. Although Lucky Bar has long been recognized as the premier DC location to watch soccer, don’t sleep on it as an option for other sports as well. 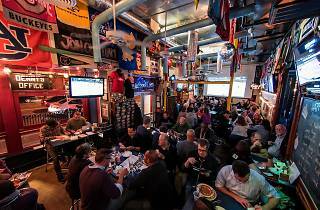 Food and drink specials every night of the week ensure that you’ll find a deal no matter what sport is on the screen. The food isn’t going to surprise you (except for maybe the full English breakfast, which is available on weekends), so don’t come looking for gourmet. 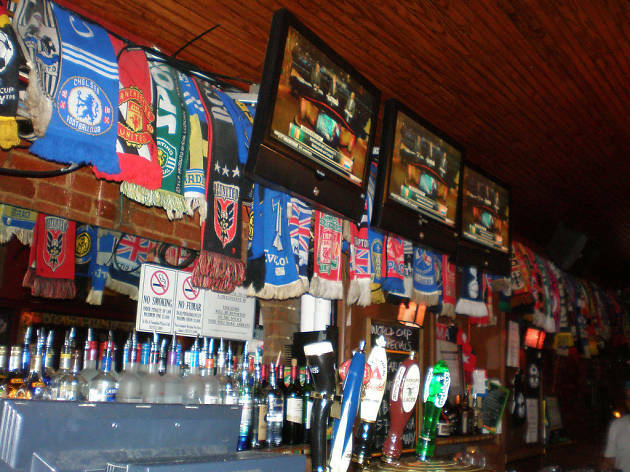 Supporters of Arsenal FC and both Manchester United and City FCs will find kindred spirits here, but that shouldn’t scare off fans of any other stripe. 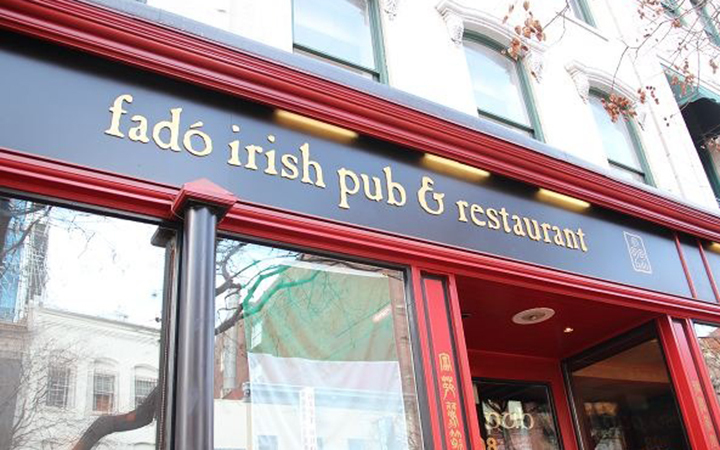 Just when you think you’ve seen all Fado has to offer, a new turn reveals a new hideaway with yet another TV to watch the big match (especially if that match involves soccer—shout out to the DC Toffees!—or rugby). 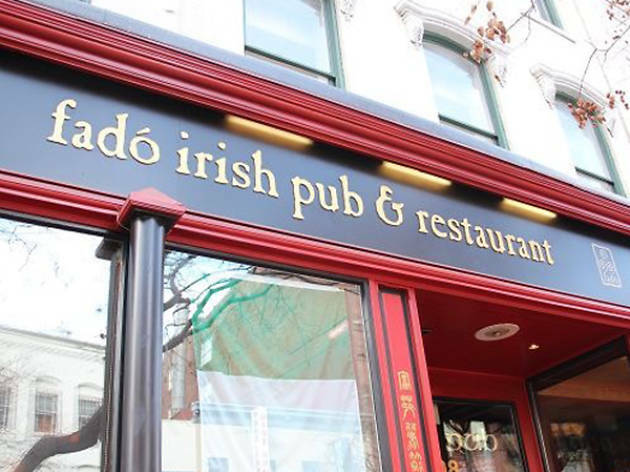 It may be part of a chain, but Fado has a surprising amount of character and mostly succeeds at being genuinely charming with bric-a-brac from (or supposedly from) the Emerald Isle. Up too early and feeling the effects of your Friday or Saturday night? Say “top of the morning” to the breakfast boxty (Irish potato pancake), order a pint of Guinness and ease back into the realm of the living as you watch the beautiful game. 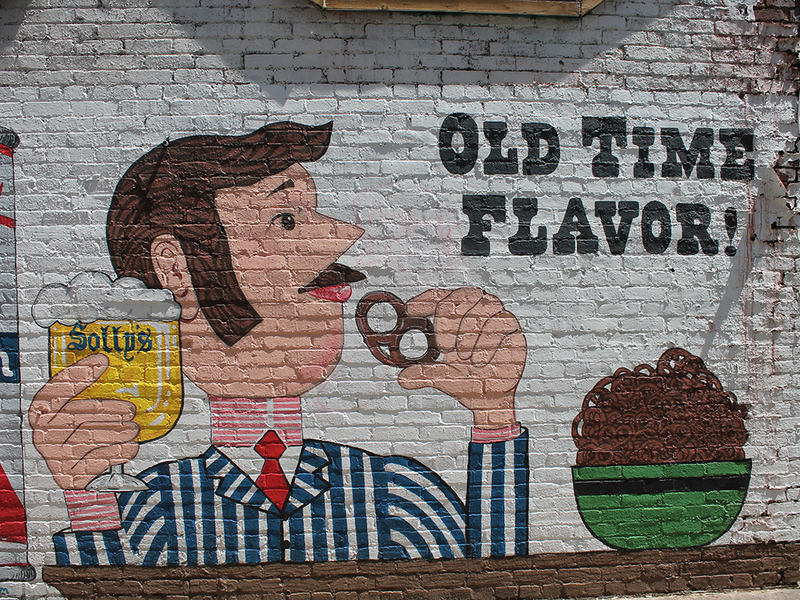 Enter a rundown, residential-looking storefront notable only for the litany of recent bar trends spray painted on the door (you won't actually find small plates, daiquiris or mojitos here), walk up a flight of rickety stairs and find the diviest of the bars on this list. 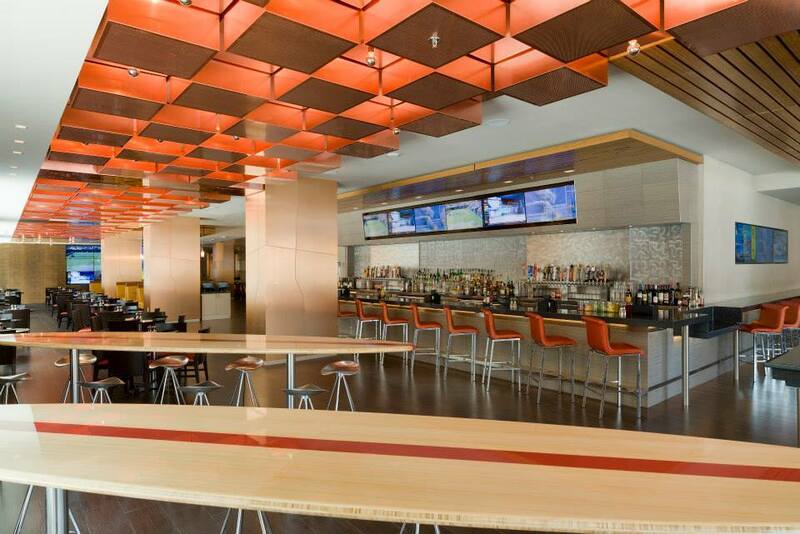 Okay, so it’s not a “sports bar,” in the traditional sense: there aren’t banks of TVs or greasy burgers. 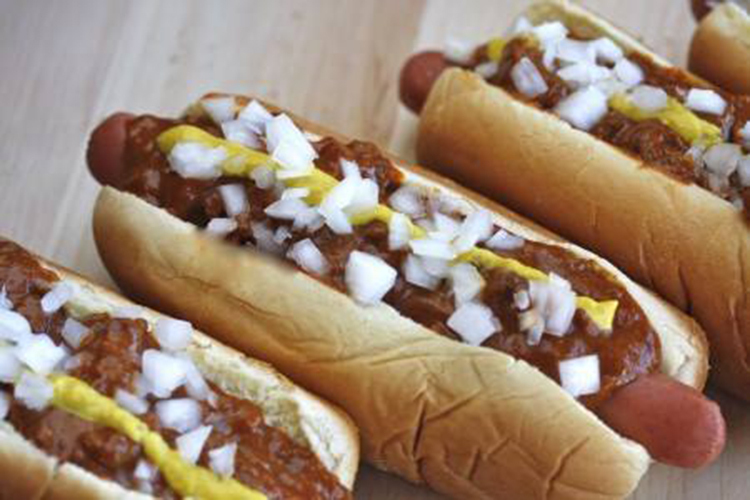 But so long as a team from Detroit or Chicago (or DC) is playing, Ivy & Coney is a haven for sports fans. 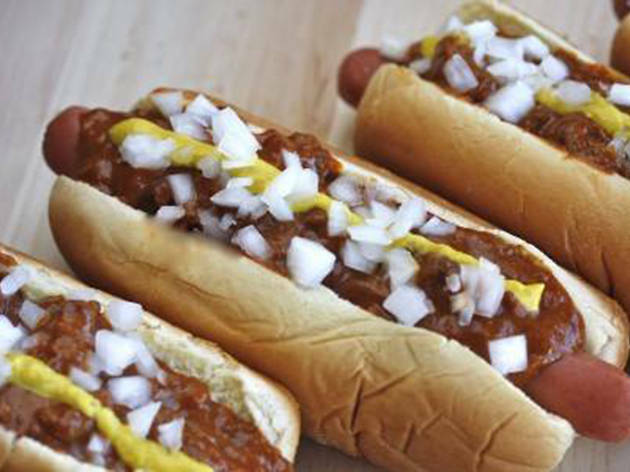 Enjoy a Detroit-style coney or Chicago-style dog, some cheap beer and the camaraderie of those who like all of the above. Bring cash though—credit doesn’t cut it here.